The start of a new year is a great time to get motivated and go after new goals, but too often we set goals without a realistic plan to achieve them. It’s easy to get discouraged about not following through with our new year’s resolutions, but many times the root of the problem is less about willpower and more about planning. Start small. Break it down. Setting a goal for the entire year can be daunting. Make smaller, or monthly, goals along the way to keep you motivated. These smaller goals are more realistic to obtain and will add up over time, making health and fitness resolutions last throughout 2019. Don’t make too many resolutions. Choose one realistic Once that is achieved, you can set another goal. Use the S.M.A.R.T. acronym to set a goal that is Specific, Measurable, Attainable, Relevant, and Time-bound. Write it down. Sometimes it might not feel like you have made progress, but if you have something to refer to, you can see how far you have actually come. Create accountability. Create a support system. Tell family and friends your goal so that they can help keep you accountable on days you don’t feel your best. 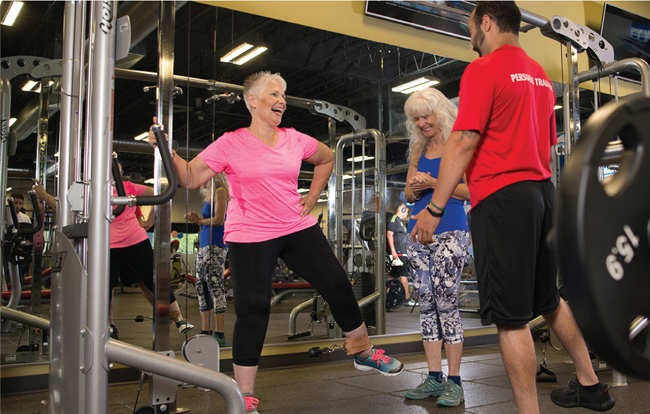 California Family Fitness also offers a great support system, with a community of like-minded members and personal trainers to keep you accountable. Working out with a friend not only makes you accountable to someone, it can actually make your workouts more effect and reduce your stress! Have a plan for dealing with missteps. It’s easy to get derailed from time to time but getting back on track towards healthy habits is important. Make sure you have a good plan in place for when setbacks occur. Refocusing eating habits. Proper nutrition plays an important role in fitness goals. Take note of “good” meals. We often focus on perfectly executing dietary changes that restrict calories or certain food groups at the beginning of a weight loss plan, which can quickly lead to failure. Instead, focus on eating an increasing number of “good” meals per week to slowly build good eating habits for the long-term. Check out these sensible ideas for clean eating. Congratulate yourself. Schedule rewards for yourself along the way. Maybe it’s a new pair of workout clothes or a good book. It’s important to keep yourself motivated. Treat every day like January 1. While the start of a new year is a great time to start new goals, it’s just a day on the calendar. If you haven’t started your fitness goals yet, it’s not too late. You can set and start resolutions any day of the year! 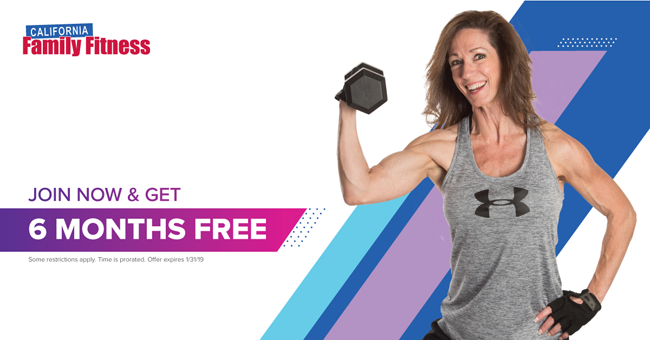 Each body type and health goal is different, and personal trainers are a great resource to help you make a permanent transition to a healthier lifestyle that meets your individual needs. If you haven’t worked with a personal trainer before, California Family Fitness would love to introduce you to one. California Family Fitness has many experienced personal trainers who are excited to assist you at any point on your journey to becoming your best self.